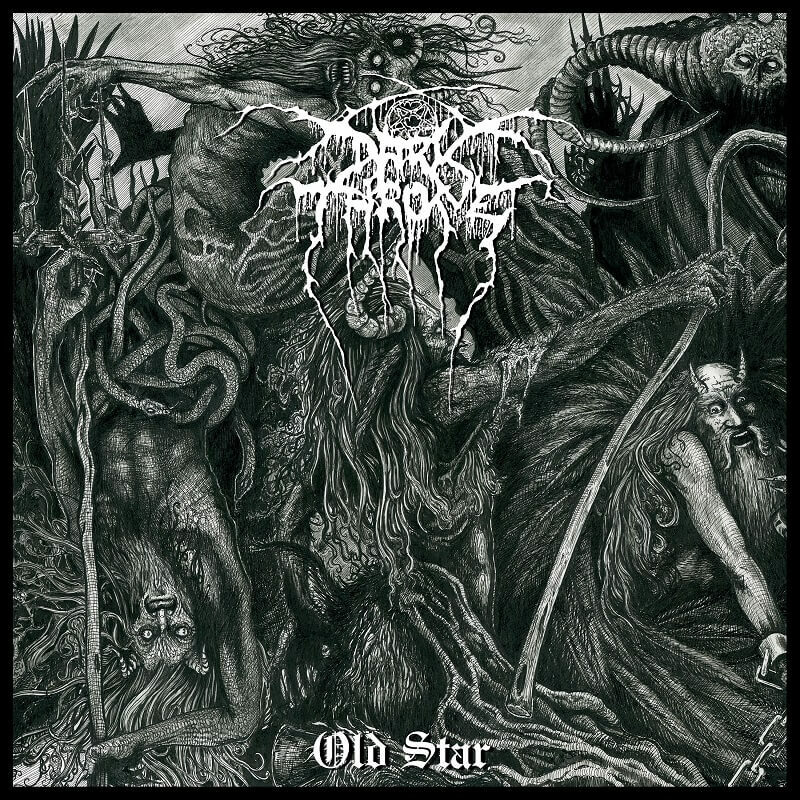 The legendary Norwegian longstanding partnership of Fenriz and Ted "Nocturno Culto" Skjellum, Darkthrone, will release their new album, Old Star, on May 31st via Peaceville Records. The band's first studio album since 2016's Arctic Thunder sees the Norwegian legends cut through six new epic tracks, taking in the best of the old school of heavy and extreme metal plus a large dose of doom-laden riffing, and channeling it through the grime of the underground. Old Star was recorded at the band's Necrohell 2 Studios, with engineering and production duties carried out by vocalist/guitarist Nocturno Culto, complemented with a perfectly organic mix courtesy of Sanford Parker (Voivod) at Hypercube Studios, & mastered once more by Jack Control at Enormous Door. The stellar cover artistry comes courtesy of Chadwick St John, titled "The Shepherd of the Deep". Fenriz enthuses: "Old star - again we are here with THE RIFFS! A while after our previous ARCTIC THUNDER album it became apparent that we would continue in that same style, BLACK OLD HEAVY METAL with slow thrash, classic doom and slow death metal. "As many have focussed on the 70s sound over the last 20 years, the mix on our new album has ended up being more 80s than ever. The songs are more metal than ever! Ted's songs have a lot of black metal in them, faster and slower but also doomier parts and reocurring parts. My songs are more linear written, it's an ancient 80s underground trick, with breaks, all slow heavy or slow thrash, classic doom or slow death. "All in all it is our most 80s album so far and our most metal one to date with drum sound typical for the 80s USA/German market and damned lyrics, which are all written by me. We feel that OLD STAR is the big brother of ARCTIC THUNDER. More solid and with even better riffs." but that came unexpected. Great artwork and I loved their last two albums so...bring it on! Couldn't agree more. Excited for this. Seems more like EP not the full album 6 tracks for about 35 total minutes. Boring. I haven't been very impressed with Darkthrone for years. Their 80s cover band stylings aren't really my thing. They just seem to plug in and record any old riff that comes to mind and - boom - a new album. Quality control is virtually non-existent. They used to be innovators but they've been followers for years now ripping off their favourite old school bands. Is this too harsh an assessment?